After preparing the car, the observations can now be done. Covering all the observational points we use the six point check. The six point check is left blind spot, left door mirror, centre mirror, look at the road ahead, right door mirror, and right blind spot. The blind spot is the area that is not seen in the mirrors or is obstructed by pillars or parts of the car. 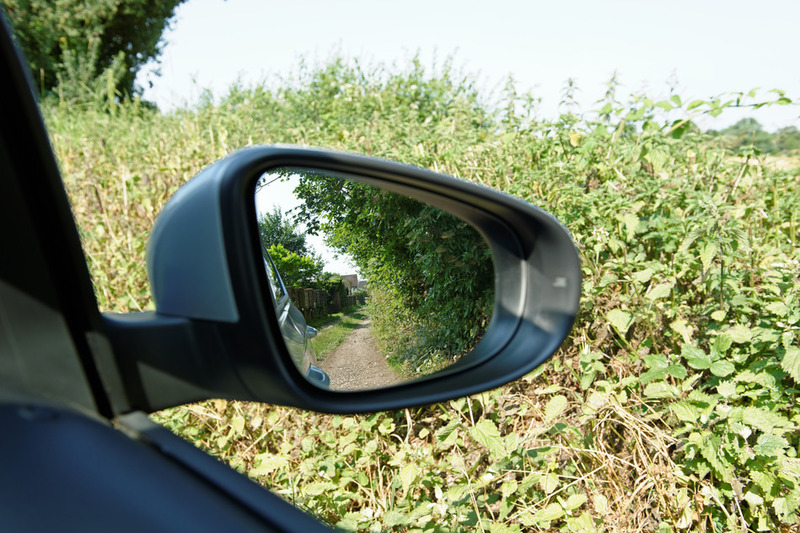 The door mirrors cover down the side of the car plus a wider view than the rear mirror and the rear mirror the view behind and obviously looking ahead can see anything that is happening ahead. The six point check is a way of understanding of all the potential observations needed to move off but does not mean it has to be the done in its entirety on every occasion and with every situation. So for instance at the start of the moving off complete the checks where necessary, but if there is only one or two vehicles approaching a 2 point check (right door mirror and right blind spot) should be all that is needed starting from the right door mirror and watch out ahead if there are pedestrians about. After a wait of 10-15 seconds then the complete check maybe needed again. Other considerations could be time of day, for instance if it is 3am in the morning compared to 3pm, or if you are on a busy housing estate then a more thorough check may be needed. Whereas driving off from a rural location with just hedges to the left will need less observations with the first couple of points of the check. Finally before moving off consider a right signal if moving off from the left hand side of the road if there is someone to benefit, also considering misleading signals.